JC Molina in the house. JC Molina visited the other day from his home base in Puerto Rico, with an introduction by his former agency colleague, Gary Bonilla, Nickelodeon’s SVP Creative Strategy. He came by with his pre-school project “Parker’s Questions.” Thanks JC. 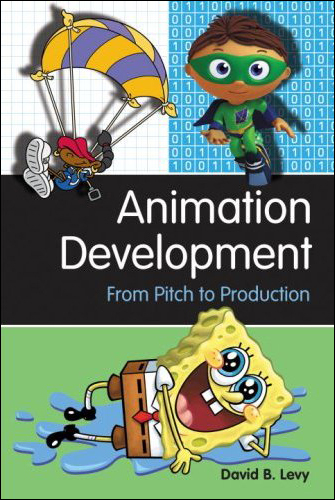 I wrote a little bit about Dave Levy’s new book, Animation Development: From Pitch to Production the other day and thought it might be good to hear a little directly from the author. Your first book, Your Career in Animation: How to Survive and Thrive, was so much richer than most “how to” industry books, incorporating the universal lessons you’ve observed from two lifetimes (yours and your Dad’s) in the animation industry. Was it harder to apply those same learnings to development? DL: I think in many ways this new book was easier to write because of its focus to one specific area of animation. Easier to write, but somehow it took longer to write. Since I only had one subject to cover, I had to make sure no stone was left unturned. My only compass was to bust all the myths that cloud up the reality of pitching and development, which keep people from achieving their dream. I think it really helps that I have gone through the process myself as well having interviewed the major players from both sides of the table. Both books use the same conversational approach loaded with real anecdotes from the field. I once bought a book on the business of animation that didn’t mention the name of a single film, show, or creator. As you can imagine, it was a very dull read. I prefer to give the reader actual examples––showing success stories as well as cautionary tales. Is there a ‘Top 3′ list of do’s and don’ts? DL: How about a ‘Top 4′ of each? • develop relationships with other artists and writers as well as with development executives. It’s a people business, and in the end…networks buy creators not ideas. Attend animation festivals and events in addition to maintaining your online presence on facebook, personal websites, etc. • work on other creators’ shows first. A would-be creator needs real working experience in the industry to learn the ins-and-outs of how an animated TV series is made from the ground up. A network will need proof that you know how to produce your vision into the final product. • engage in other creative outside-of-work pursuits besides creating pitches. Make films, comic books, paintings, photography, etc… This is important because an artist/writer also needs to develop his or her voice outside of the commercial arena. • learn from your mistakes. What didn’t work about that last pitch meeting or project? Every attempt has something to teach you if you get in the habit of introspection. We can’t as easily change what is wrong with animation development today, but we can certainly train ourselves to be more effective at presenting ourselves and our projects. • have a sense of entitlement. Just because you have put together a pitch doesn’t mean it’s the right fit at that exact moment in time, with the right executive at the right network. Treat each pitch and encounter as another step in the journey. Stephen Hillenburg has said that all he was trying to do with his first pitch meeting at Nickelodeon was to interest them in a second meeting. • hold unrealistic expectations no matter what you hear. A promise, a word, or a handshake is not a written contract. Your project is not in development until the network is willing to write you a check. • put all your eggs in one basket. No one opportunity is THE opportunity. No pitch meeting is the one that will make or break your success. Develop your talents over the long term and treat pitching as one branch of that adventure. With that attitude, you might even enjoy the ride. What’s with development executives? Why won’t they say ‘yes’ to some good shows for once? DL: There are examples of executives that said ‘yes’ to some good shows. But, it would be a mistake to assume that every executive has the right agenda or even the good sense to spot good when it’s under his or her nose. I think that more executives should understand what truly makes a good show. You can’t create the next SpongeBob-sized hit by making of list of what ingredients made up SpongeBob and then imitating as many of those as possible. SpongeBob wasn’t born that way. It was the brainchild of Stephen Hillenburg who was swimming (pun intended) in surf culture and had a background in marine biology. And, he channeled those interests through his unique point of view. The point is that Hillenburg’s show came from his heart and that passion connected with audiences in a major way. That’s the lesson for executives, not what surface details can be spotted and copied in that show. There are so many talented artists in the world. What makes the difference between one who doesn’t get a series and one who does? DL: There are lots of talented artists out there, but very few seem to be suited to creating, selling, and producing an animated series, let alone a hit animated series. But that doesn’t mean to say that more people can’t develop their skills to that end. After all, was Matt Groening ready to create “The Simpsons” at the start of his career? And, sometimes through collaboration artists and writers can create something greater than the sum of the individual parts. Happily, all shows (hits or not) depend on the fine work of animation artists, writers, musicians, actors, etc… so even without a show to their own name, they are an important part of what might have made someone else’s show shine. And, real industry experience is one of the most important prerequisites to serious pitching in the first place. 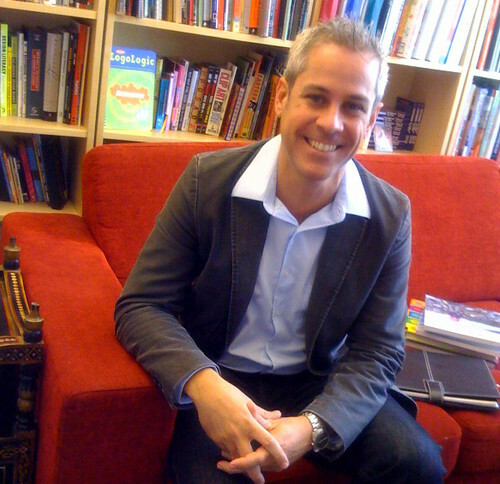 The artist that breaks through to having his or her own series will likely meet three requirements: a unique point of view, a facility with and interest in characters and their interactions with each other and their world, and will be good salesperson, knowing how to present a project (to demonstrate execution) even in the early stage of a pitch bible. Is getting a show on the air as treacherous as it seems? I was very impressed with his answer because it shows his understanding of what development really is. Nothing is a sure thing until it is. It doesn’t mean you shouldn’t dare to dream…but, it does mean that you should manage your expectations and not take each thing you hear as something that is set in stone. Why can’t I own my own show? DL: There are people that do make shows where they retain ownership. Larry Schwarz of Animation Collective is a good example of a creator raising funds through private investors and then using the networks as a means of distribution. But, this model comes with its own risks. I don’t think an individual can match the promotional power of a Viacom or a Turner, so I think the desire to own your own show may actually cost you the very success you’re after. A cautionary tale happened not so long ago when another New York studio used private investors to fund their series. Despite the fact that a network agreed to air the show, the investors pulled out before the first episode even left the assembly line and the series was left dead in its tracks. Yes, most networks will expect creators to sign away their ownership rights, but, it’s not as black and white as that. Creators are paid a purchase price when their project goes to series. Additionally, there are weekly salaries for their services on a series, back-end participation, episode bonuses, and other perks. I would rather see my show get made and seen by a broad audience, then own it outright and have it sitting in a drawer somewhere. What’s the one thing most people get wrong about animation development? DL: I think so much of the anger and frustration is simply unnecessary. Some creators are seething with anger out a belief that someone is blocking their path. In truth, no development executive has that power, unless you give it to them. A creator’s obligation is to develop his or her own talent to the point where the executives come looking for them. Dan Yaccarino (the creator of Nick Jr.’s “Oswald,”) is one such example. Nick Jr didn’t pick up his first pitches so he turned them into children’s books which became so popular that Nick Jr subsequently green lit his series. Amid Amidi, of Cartoon Brew, and I sparred over this point at my book launch panel. He explained that lots of L.A. industry creators complain to him that their pilots didn’t go forward to series, which made them fed up with pitching and development and realize that they should try to apply their creativity to comics or children’s books instead. In reality, these creators are in a very enviable position. They are professionals being paid to work in the art form they love. And, they got a couple of pilots made! So what if the pilots proved to be dead ends? I don’t see this as proof of why one should never pitch. On the other end of the spectrum, Carl W. Adams (co-creator of [adult swim]’s “Assy McGee“) believes that no pitch meeting is ever a waste of time because each meeting helps form a relationship and can lead to making even more contacts. If that’s the case (and I do believe it is), then it’s certainly not been a waste of time for the above creators to have made a few pilots. How many of us would like to fail on that level? It is on the shoulders of these creators to capitalize on their pilots and consolidate that talent/effort/experience to an even bigger success. It’s their job to do so, not the executive who didn’t green light their pilot to series. While its fun to speculate, complain, and point out the many obvious things wrong with the development process, you have to wonder (after a while) where that will get you. A wiser move would be to keep investing in your own talents. That has a way of taking you places. And this is a theme that comes up again and again in my new book. 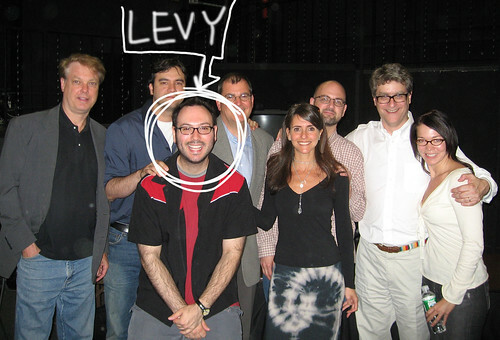 Dave Levy does it again. If you’re even thinking of wanting to make your own television series, you better get David Levy’s latest book. Our closest readers already know that Dave is a FOF, but I hope that many more people know him as a talented and skilled animation director/producer/artist, blogger, and ASIFA-East President. And, a unique author about the animation business. As far as I can tell, no one has written like Dave about the practical aspects of participating in our industry with such clarity, thoroughness, and insight. When I picked up his 2006 book, Your Career in Animation: How to Survive and Thrive, I expected to be self centered and only read the index items about moi; two days later I’d devoured it cover to cover, shocked at how readable and smart it was. These kind of books are never good, are they? Well, this one was good, and better. Dave didn’t miss a thing. Once again, Dave has researched the development process completely, much of it with his own blood and sweat on the floor, and share his findings with us. I’m not a good enough writer myself to go into detail, but he covers the pitch, legalities, money, pilots, creative notes. Importantly, he also goes into detail about the roller coasters of ups and downs of the entire process. Personally, I relate to this most of all, having been around the business of creative for over 35 years, most of it in abject failure, only selling my first animated show 25 years into the biz. I wish I could pull some of the quotes that really hit home, but when I started compiling them, there were so many that I just couldn’t make a choice of the best. Trust me, there are a lot of really good ones. Buy Dave’s book, you will not regret it. This post is about two animated spots during MTV’s first year. One’s the most popular, the other was only played once, and not on television. “One Small Step” from fredseibert on Vimeo. There were very few “ideas” for spots I could claim as mine at MTV. Identifying talent and strategy were my strengths, and I felt from there everything else would flow. But this spot was different; it’s the one for which I feel complete ownership. Bob Pittman wanted there to be a signal identification at the top and bottom of each and every hour of MTV: Music Television, where the VJ would identify the most important music videos in that half hour. We agreed it would be voice over animation, with stills IDing the songs. But, what should the animation be? It had to be memorable, repeatable, and not drive a viewer completely crazy. After all, it was going to play almost 17,000 times every year. And we had only 90 days until launch. My mentor Dale Pon had introduced me to the treasure trove of free images and film from NASA, a public government entity which we all “owned” as US citizens. It would be an inexpensive source of public domain video for us. As a start-up –no one was really sure this thing would work except us– we needed all the financial short-cuts we could find. “Space is very rock’n’roll,” said senior producer Marcy Brafman. This spot was going to be our most important. There would be over 30 changing video pieces every hour (music videos, promos, VJs, and commercials) and this would be the only thing all day that was constant. It would get a lot of scrutiny. So, I thought the “top of the hour” spot should do it’s job and reflect our conceit, be inexpensive, and use our ever changing logo. Oh right, it had to have that indefinable rock attitude. I thought the simplest way to combine all that stuff was to steal the shine from an already existing piece of video. Let’s take the most famous television moment ever and fold, spindle, and mutilate it to our nefarious purposes. Our brainstorming turned up some famous, or really infamous, stuff. The biggest one we thought about was the Lee Harvey Oswald shooting by Jack Ruby that was live on television in 1963. Aside from it’s wrongness, it occurred to me that it was only an American moment. We were claiming that MTV would be “the world’s first video music channel.” We needed a world moment. Right then it came to me. In the summer of ‘69 I was traveling behind the Iron Curtain with my family on the day of the Apollo 11 moonwalk. The streets of dirt poor Sofia, Bulgaria were chocked with walkers looking for apartments with televisions to witness this seemingly impossible achievement of man. Truly, the most memorable worldwide event in TV history. Let’s cop it, I figured. The worst that could happen is that a generation of kids would grow up wondering why NASA photoshopped in an American flag with MTV’s used to be. Alan Goodman and I enlisted Buzz Potamkin’s Perpetual Motion Pictures (soon to be Buzzco) to put together the spot. David Sameth produced for Buzz, Candy Kugel illustrated and directed (logos originally designed and illustrated by Manhattan Design), and music was by John Petersen and Jonathan Elias. By the way, this version of the spot never ran. The day before launch the lawyers informed me we needed, and would never receive, permission from astronaut Neil Armstrong to use his quotation. The spot ran more than 75,000 times, through variations of animation and music. 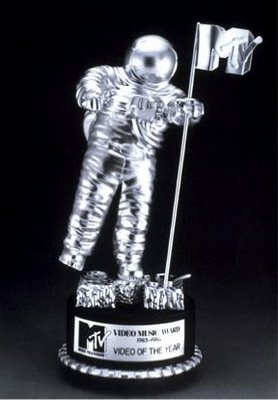 Now, it’s sense memory DNA is left in the “Moonman” award from the VMAs (the idea of Manhattan Design’s Frank Olinsky, I believe); no one in the audience knows why it exists. It was only retired, tragically, on January 28, 1986, when the Challenger Shuttle exploded in mid-air. The end of the first space era. “Freddie Buys It” from fredseibert on Vimeo. This story’s shorter. A couple of months after the network launch, Bob promoted me to Vice President, MTV’s first (a big deal in those pre-title inflationary days); I was probably whining too much about how hard I was working. He put together a huge congratulatory event and asked Alan to make some video just for the party. He asked director Steve Oakes and producer Peter Rosenthal at Broadcast Arts in Washington DC to modify one of the awesome claymation spots they’d made for us. They put a plasticine me in the spot and ignobly ran me over. I got what I deserved. Click here to read this ad larger. It’s hard to actually call Ralph Ginzburg a mentor of mine. I’m not sure he talked to me more than once, and after a few months on the night shift at his magazine Moneysworth, he had me fired. But a mentor to me he indeed was. Without either of us knowing it, the path I started at Ralph’s would continue for 15 years. By the time I went to work for his publication in the summer of 1976, Ralph was on his last publication. He was notorious for being convicted and jailed for obscenity relating to his hard cover magazine Eros (though there were some who said he was less obscene than just completely annoying). Moneysworth was to be his last hurrah. I worked in the production department. Ralph was around often, talking loudly and smartly about everything from design to circulation to advertising. All I had to do was absorb it all. It was the place I saw first hand and up close how design, language, marketing, and promotion worked in the real world. Ralph showed me (inadvertently) the practical meaning of graphic design (the only things I knew were from reading my girlfriend’s book about Milton Glaser); he talked so much, and so eloquently about Herb Lubalin, I felt like I’d actually worked with him myself. 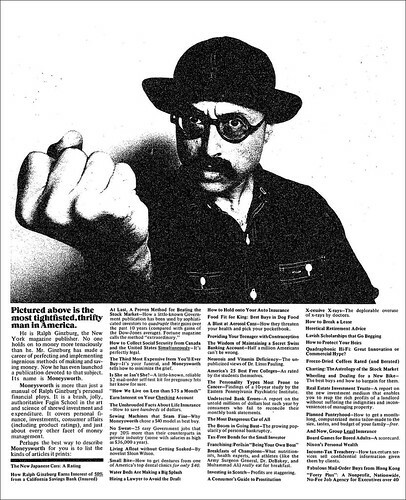 And watching him lay out his trademark full page New York Times ads (like the ones above and below) was an education by itself, about design and typography.